Wednesday, April 8, 2015 5:00 PM Mount Vernon High School (Mt. Vernon) AWAY 0 Harrison High School HOME 0 Game Recap This game was rained out. It will not be rescheduled. 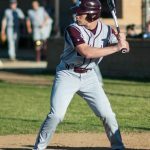 Please note: the JV game at Harrison on 5/5 will be moved back to a 6 PM start time. Box Scores Mount Vernon (Mt. 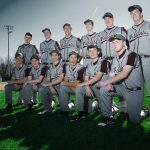 Click here to read The Posey Observer spring preview article about this year’s baseball team. 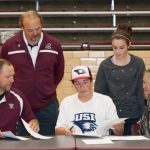 Multiple Teams · Nov 13 Krizan Signs with USI! Austin Krizan will be joining teammate Logan Brown at USI next fall. Austin signed his National Letter of Intent to play baseball at the University of Southern Indiana. Congratulations to our Fab 4! We are proud of you! 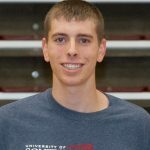 Multiple Teams · Nov 13 Brown Signs with USI! Logan Brown signed his National Letter of Intent to continue playing baseball next year as a Screaming Eagle! Congratulations on signing with USI! We are proud of you and the entire Fab 4 ! 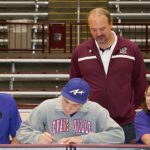 Multiple Teams · Nov 13 Mobley Signs with U of E! Senior Pitcher Cody Mobley signed his National Letter of Intent to play baseball with the University of EvansvillePurple Aces. He joins 3 other Wildcats in signing NLI’s representing MVHS thus far. Congratulations to our Fab 4! We are proud of you!